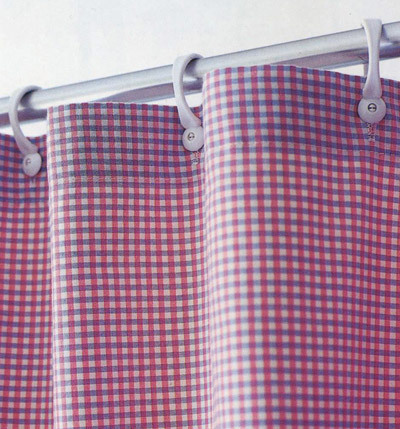 Measure your existing shower curtain and cut a piece of fabric to the same size, allowing extra for hems. Hem fabric all round to prevent fraying. Fix eyelets at equal intervals along the top edge, then add shower curtain hooks and hang the fabric in front of your shower curtain. What you need: tape measure, gingham fabric, scissors, needle and cotton, eyelet kit, shower curtain hooks.